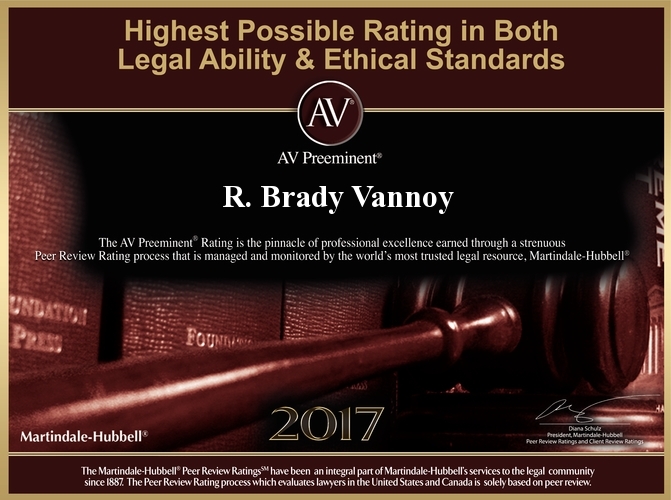 Brady Vannoy is a criminal defense lawyer in Berkeley County, South Carolina. 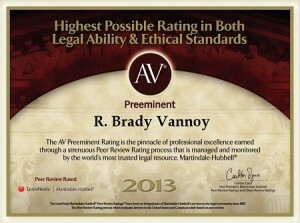 He carries a Martindale-Hubbell AV Preeminent Rating. 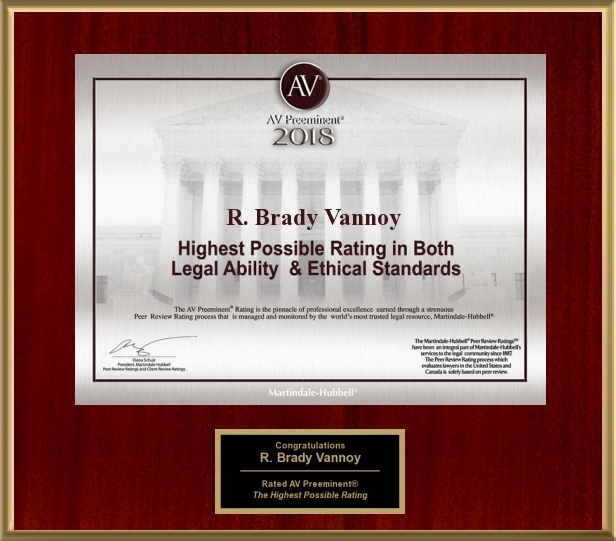 According to the rating system, "AV Preeminent(r) is a significant rating accomplishment – a testament to the fact that a lawyer's peers rank him or her at the highest level of professional excellence." 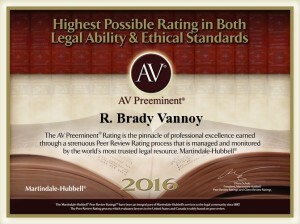 Brady is also listed in Super Lawyers(r). "Super Lawyers is a rating service of outstanding lawyers from more than 70 practice areas who have attained a high-degree of peer recognition and professional achievement. This selection process includes independent research, peer nominations and peer evaluations." 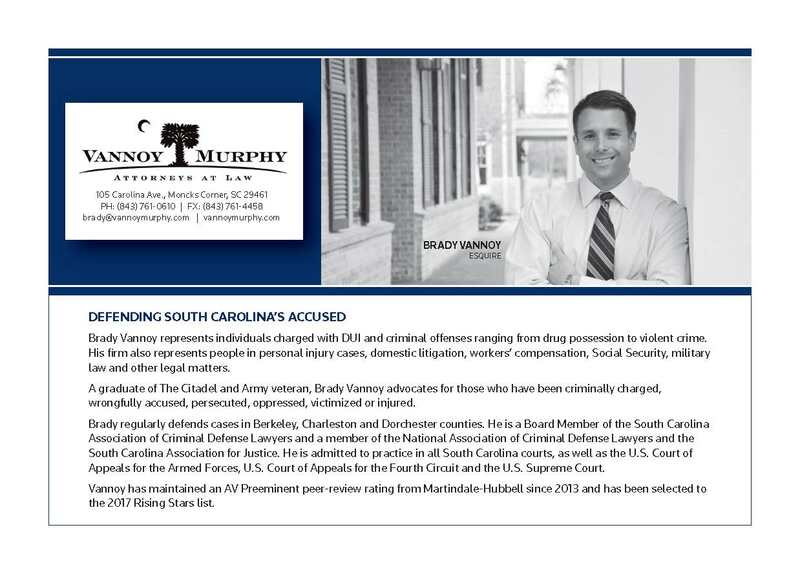 Brady regularly defends cases in Berkeley, Charleston, and Dorchester counties. 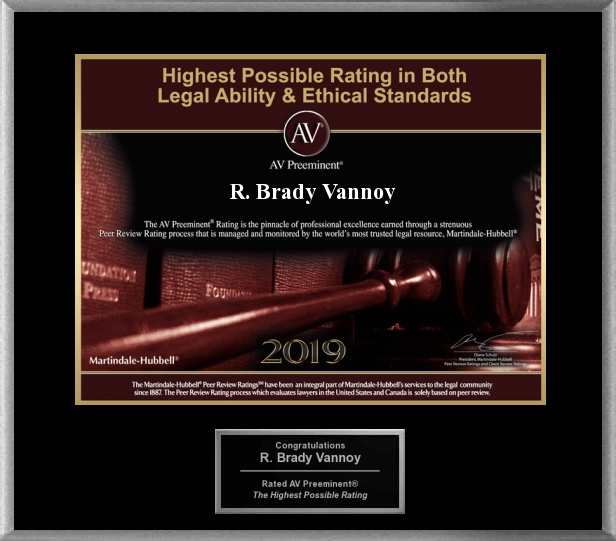 Brady is a member of the South Carolina Association of Criminal Defense Lawyers, The National Association of Criminal Defense Lawyers, and the South Carolina Association for Justice. 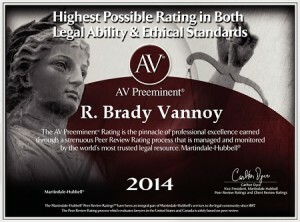 He can be reached at (843) 761-0610, brady@vannoymurphy.com, or through the contact page on this website.